The Lord is everywhere; God is omni-present, but there are times when you enter his presence and meet with him. This isn’t a contradiction. It’s the same thing as saying that someone is present if you are in the same room with them, but you’re really meeting with them if you’re actually talking to the them or hugging them. In that case, you’re really with them. We need to spend time with the Lord. Speaking to him, praying to him, and listening to him. Reading his word, reading from the Bible. Spending time, worship him individually as well as together with others in the church and we need to ask him to meet with us, to bring his spirit into every area of our life and every part of body and soul. “But they that wait upon the Lord shall renew their strength; they shall mount up with wings as eagles; they shall run, and not be weary; and they shall walk, and not faint.” Isaiah 40:3. When you are unhappy. If you don’t quite know who to be. If you need to decide to change, but you don’t have the strength. If things are looking bad because of changes that have happened in your life, remember – wait upon the Lord, turn to him. God doesn’t just want to give us the wings of a dove to fly away from our problems. 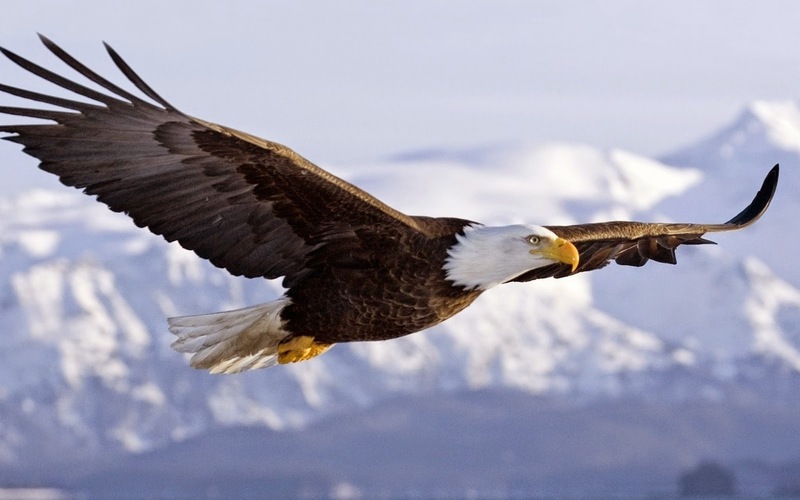 He wants, according to this passage in Isaiah, to give us the wings of Eagles, to soar, to give us the strength to get through any problem.